Muse, maker of an EEG headband and accompanying meditation app, will acquire fellow mindfulness app Meditation studio. 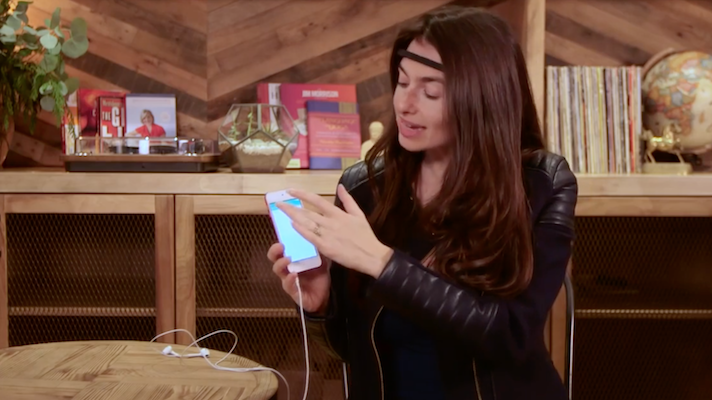 Last week Muse, maker of an EEG headband and accompanying meditation mobile app, announced that it is acquiring Meditation Studio. The latter is known for its meditation app which provides guidance from 40 experts. The terms of the deal were undisclosed. This merger will bring two companies from the digital meditation market together. However, each offers a different way of bringing in the service. Muse’s meditation platform includes a headset and app. The headset, worn across the forehead, includes three reference sensors, two forehead sensors, LED lights and conductive rubber ear sensors. The device can measure brain signals, similar to how a heart rate monitor can sense a person’s heartbeat. When a user downloads the Muse app and the headband syncs with the system and gives users updates and reports about their meditation activities. It also lets users track their progress over time. Mediation studio is also an app. It offers expert guidance, music to go along with the meditation sessions and gives users daily challenges. As part of this merger Cyd Crouse, cofounder of Meditation Studio, will come on board the Muse teams as chief marketing officer. Meditation apps have been on the rise in recent years, with several being clinically validated. Muse cited a study conducted by the Catholic University of Milan, which showed that the platform improved response times in complex reaction tasks, changed resting brain states, and created improvements in information processing. Headspace, a major player in the digital mediation field, has announced that it is conducting a slew of randomized control trials on the app, with the goal of eventually getting FDA clearance for some of its apps. This isn’t the first meditation merger in recent news. Earlier this month Headspace announced that it was acquiring voice-enabled AI system Alpine.AI with the goal of furthering Headspace’s personalization and conversational products. “The decision to sell your own company is never an easy one, but I found that the synergies between myself, Meditation Studio and Muse was something magical," Crouse said in a statement. "We deeply believe in the transformative power of meditation and feel it is our mission to connect people to the practice in a modern and approachable way." Correction: Cyd Crouse will be joining Muse as chief marketing officer. A previous version of this article misstated that she would be cheif medical officer.